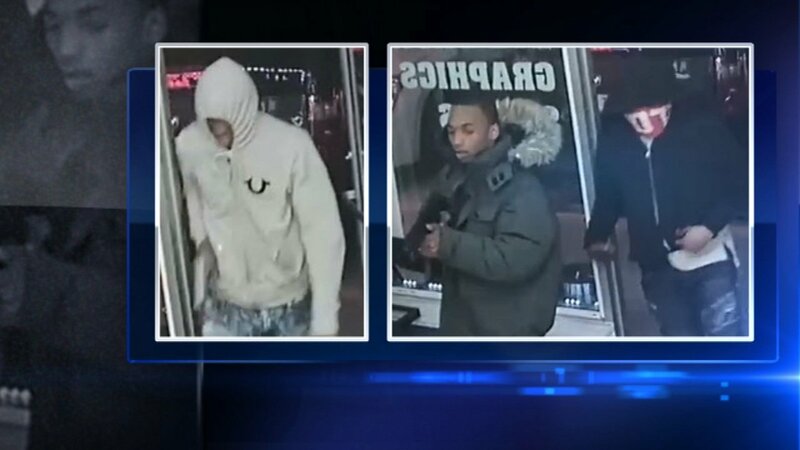 OAK LAWN, Ill. (WLS) -- Oak Lawn Police say they are looking for three men who robbed the Sportz Cutz in the 8800-block of South Cicero Avenue around 7:30 p.m. on Thursday evening. According to police, three men entered the Sportz Cutz with weapons drawn. They demanded cash and mobile phones from the people inside the business. The suspects then left on foot. The men are described as between 20 and 25 years old. Investigators urged anyone with information to contact the Oak Lawn Police at (708) 422-8292.